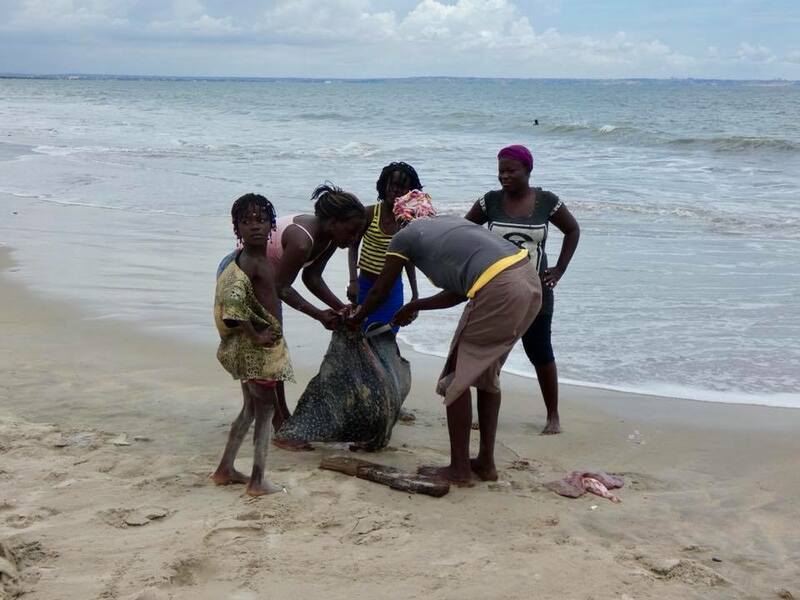 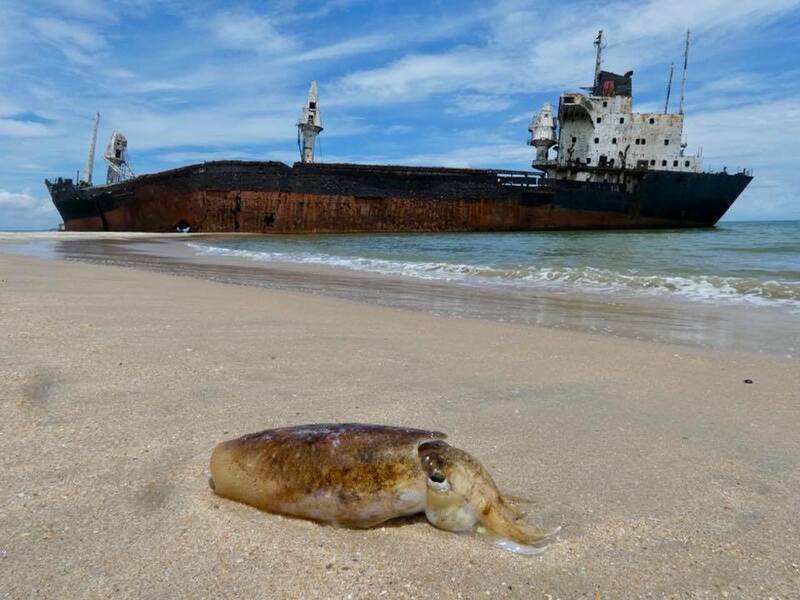 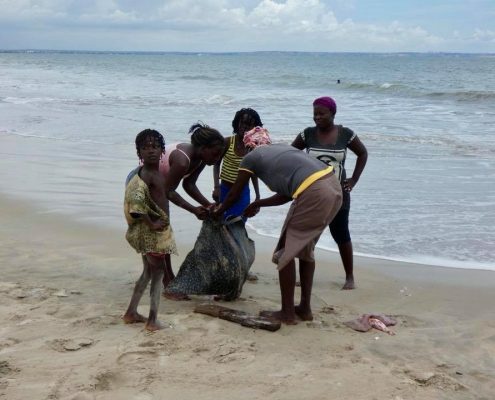 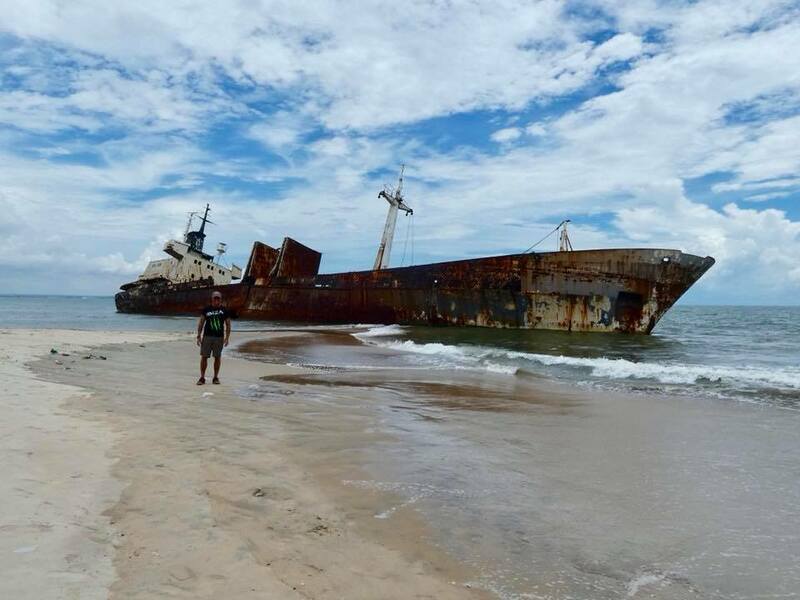 And the last, but perhaps the best post from Angola – Shipwreck Beach. 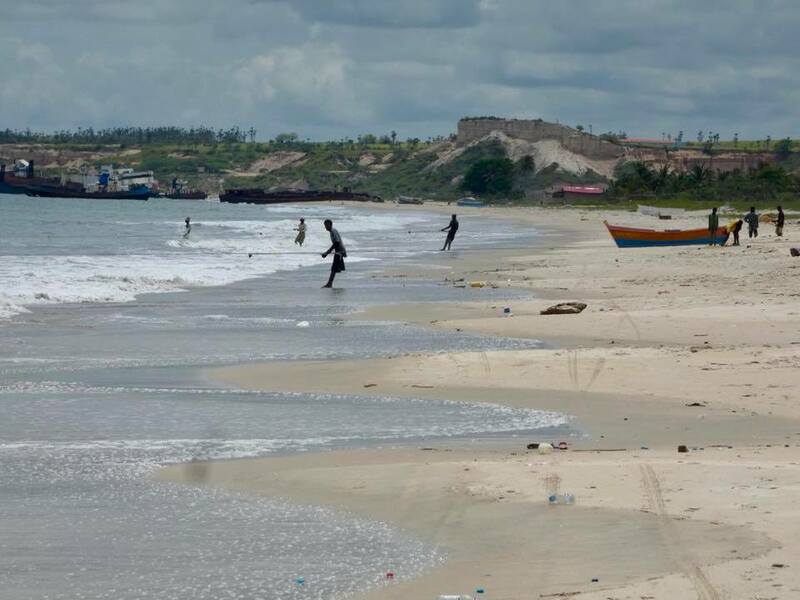 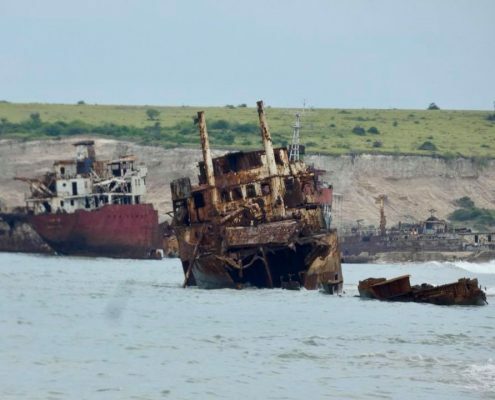 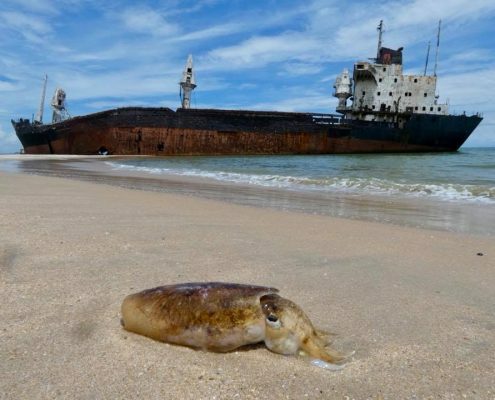 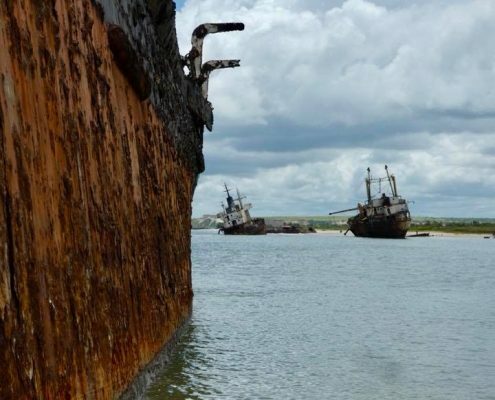 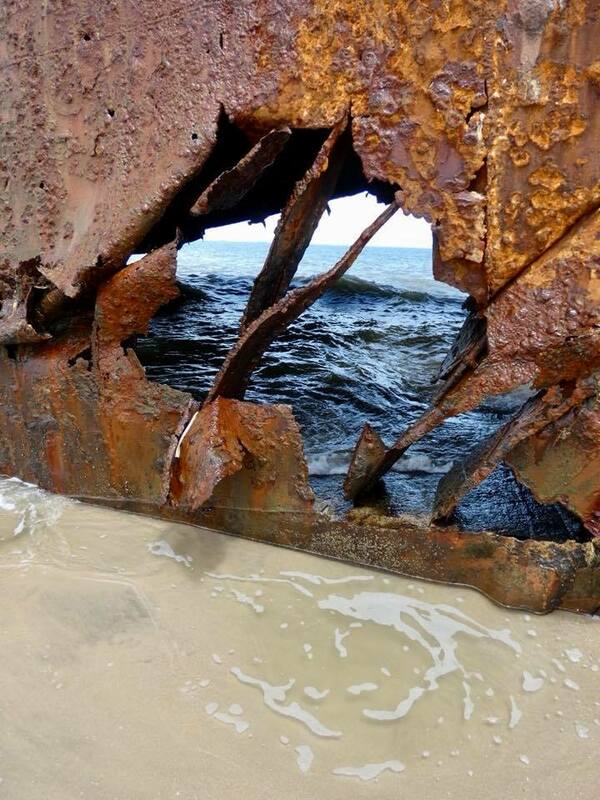 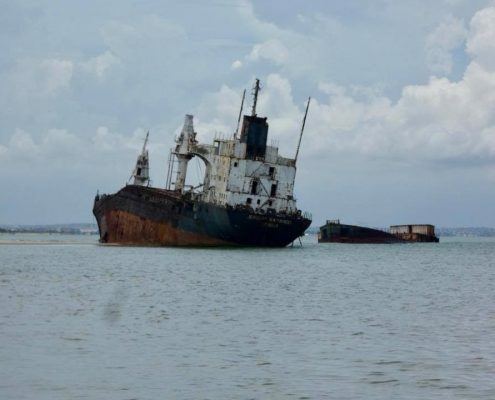 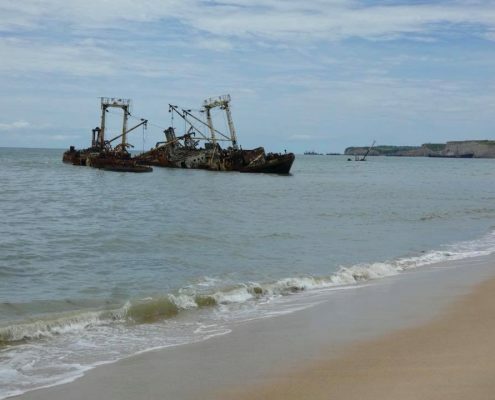 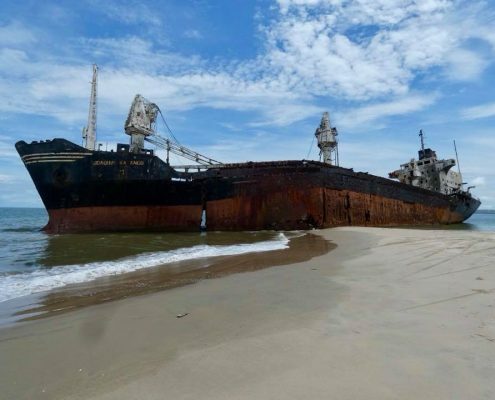 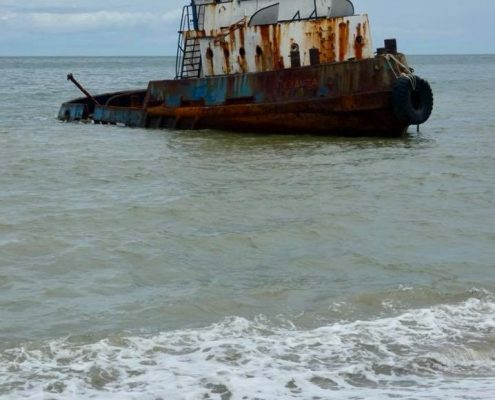 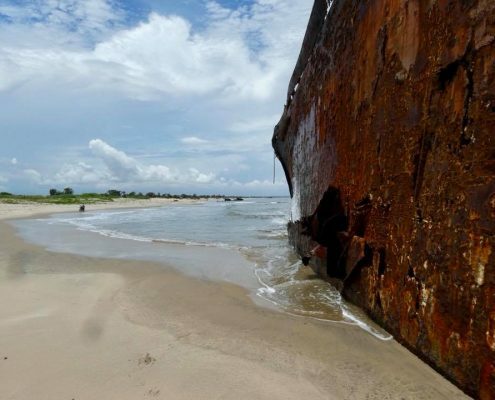 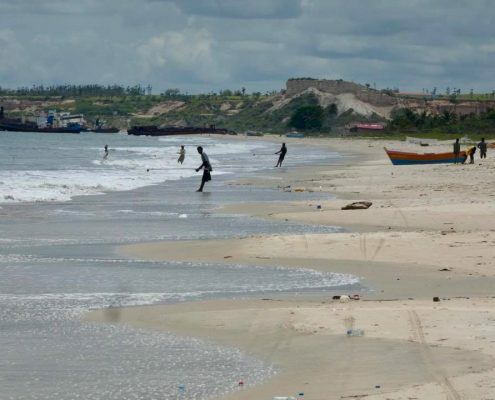 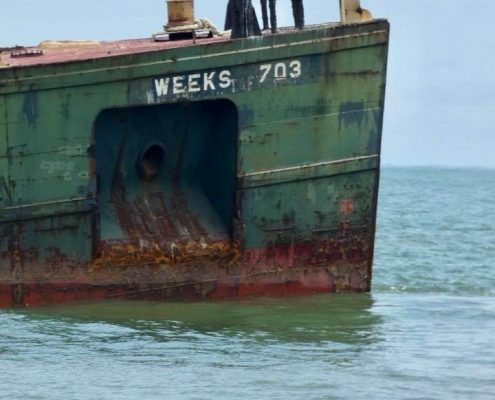 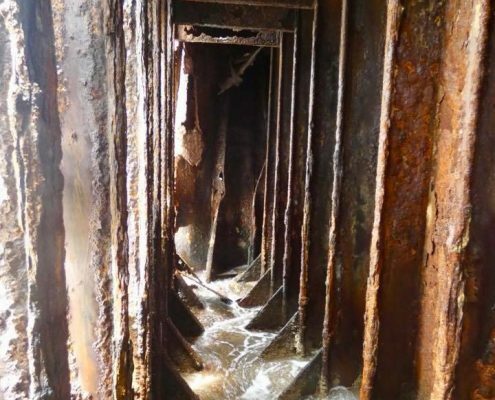 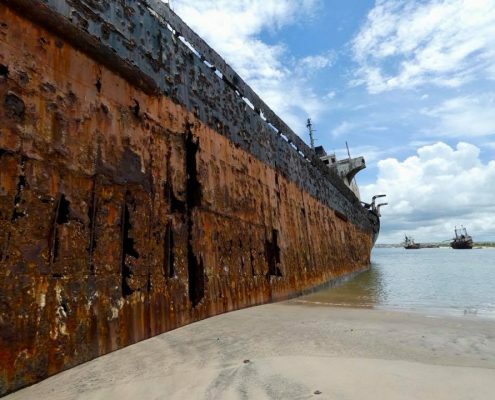 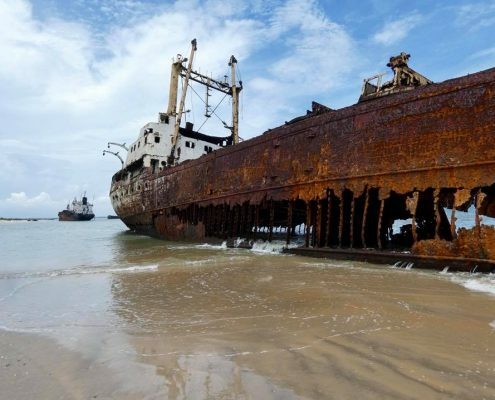 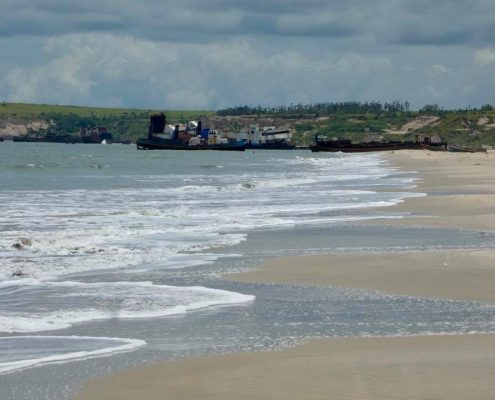 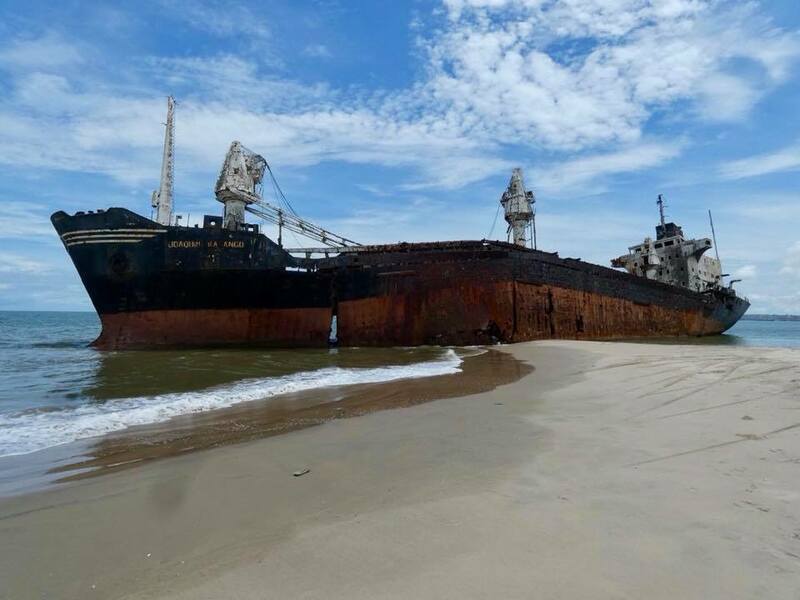 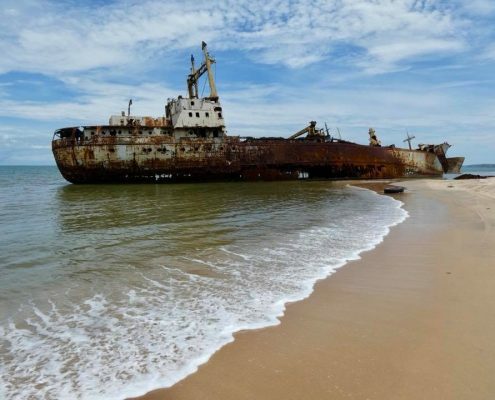 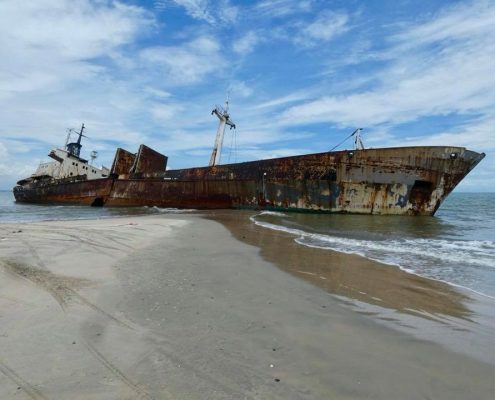 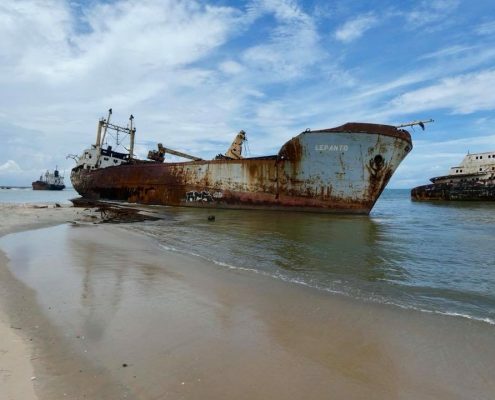 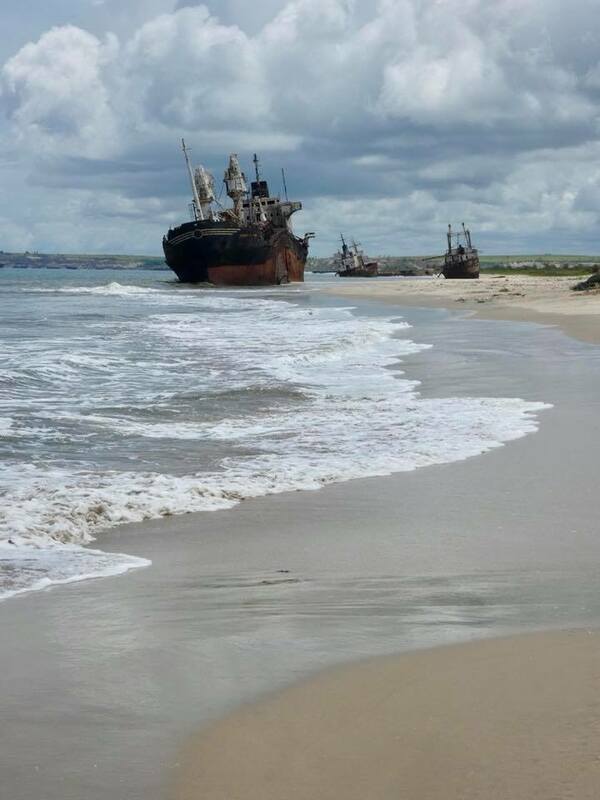 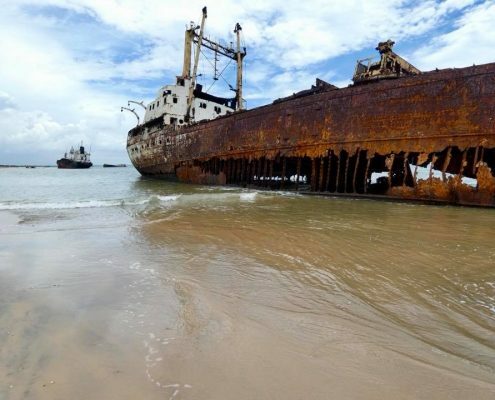 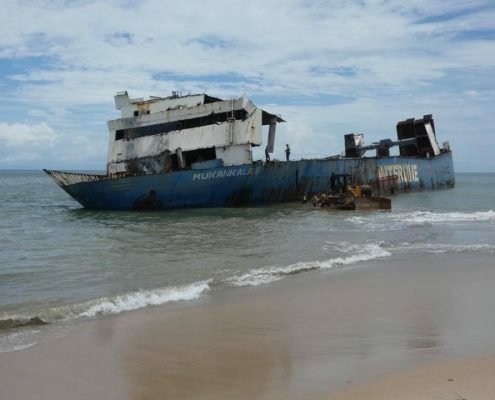 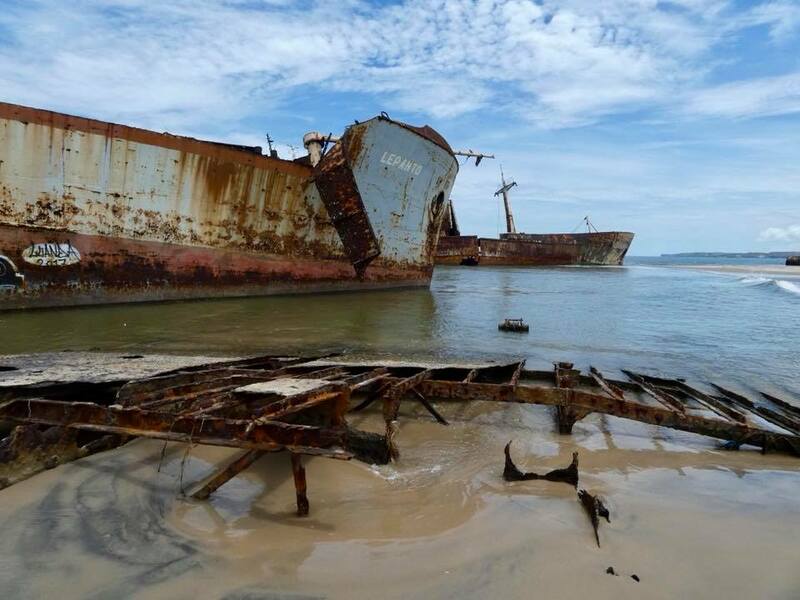 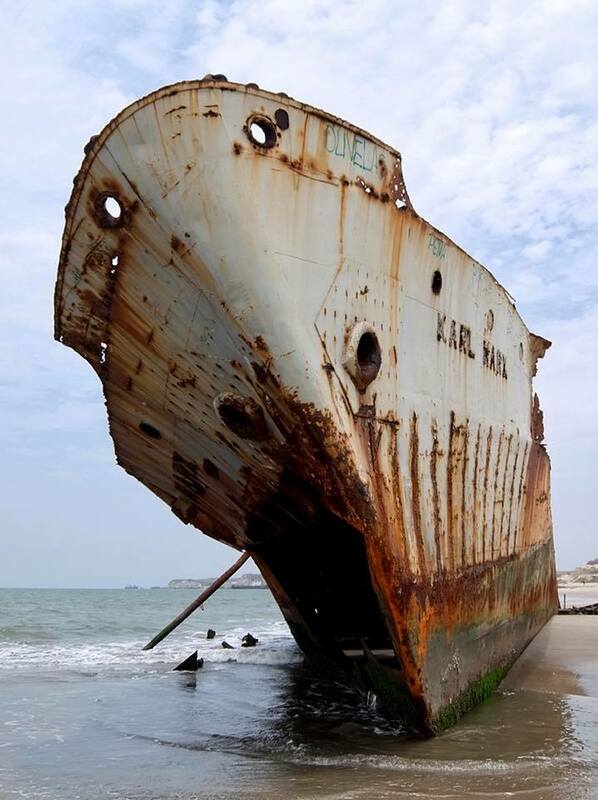 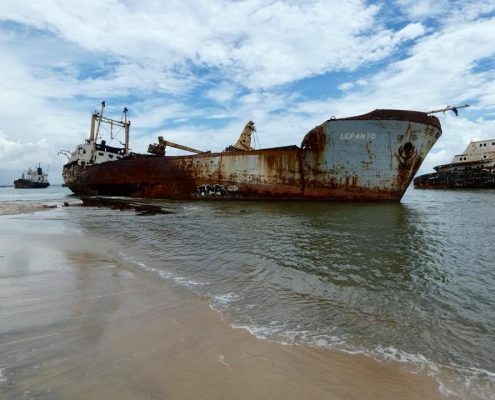 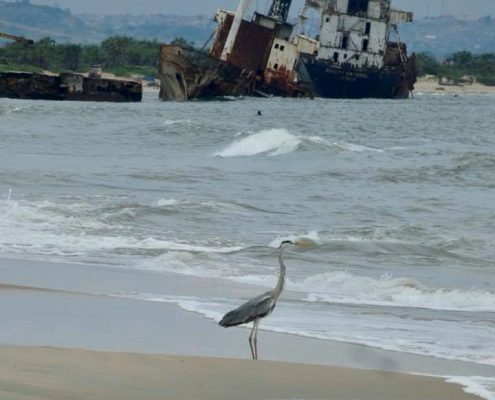 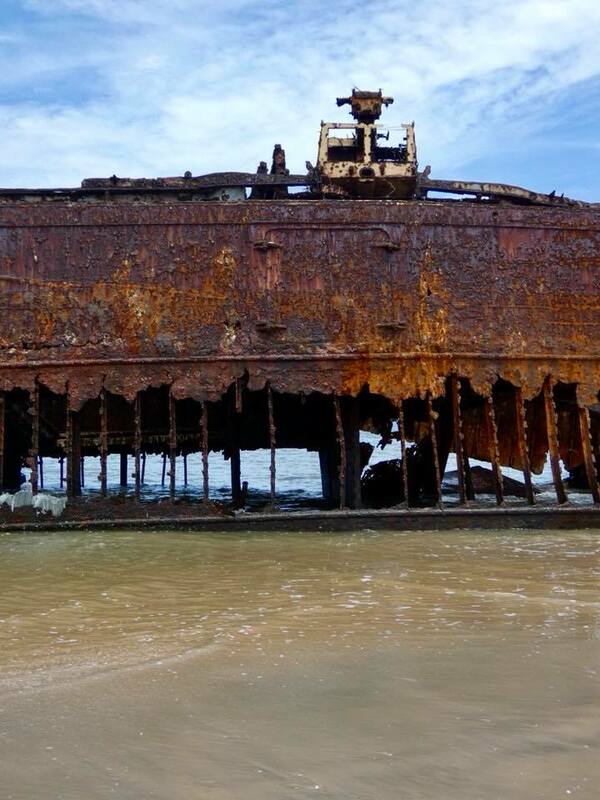 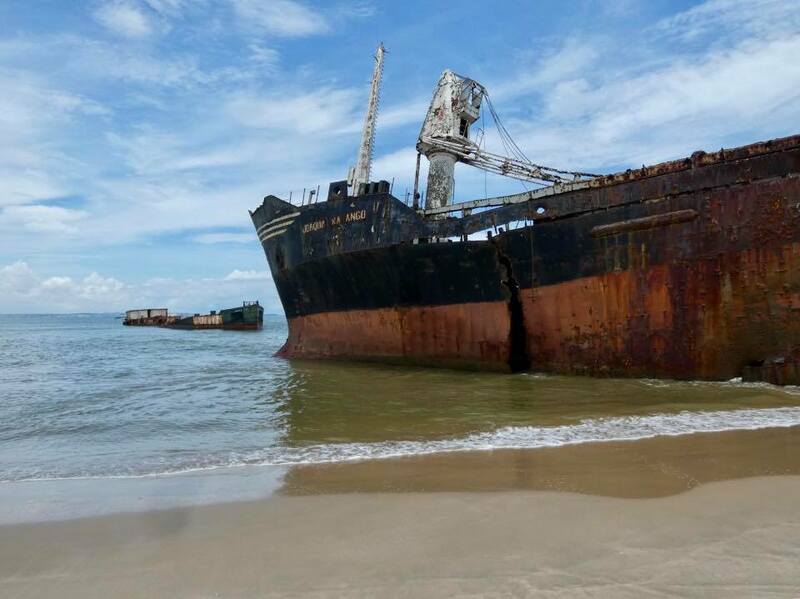 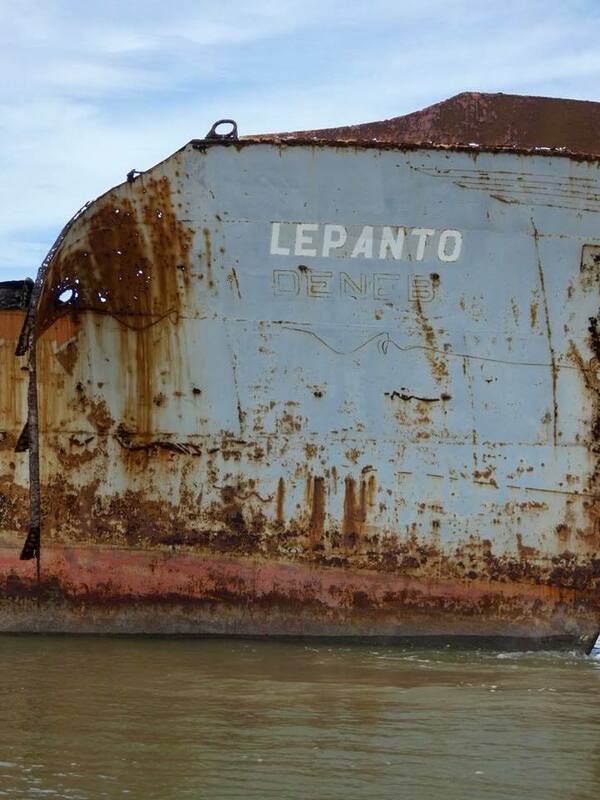 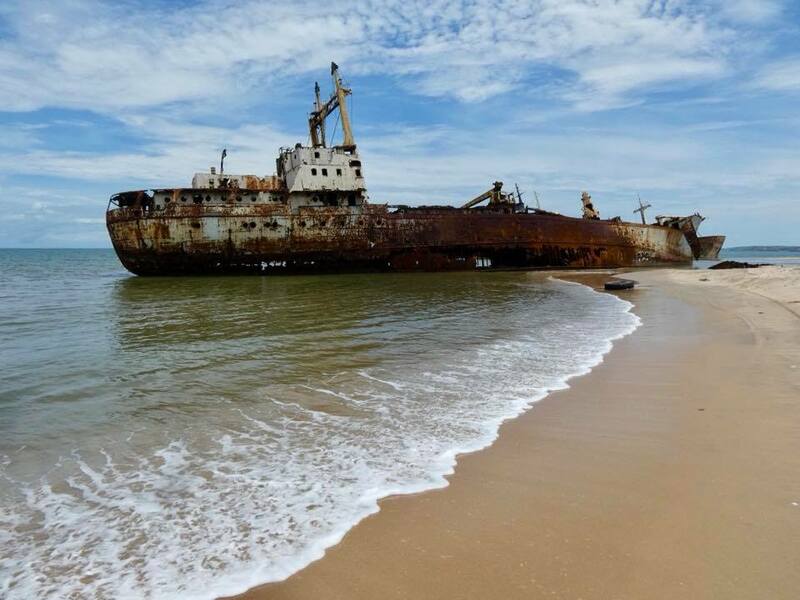 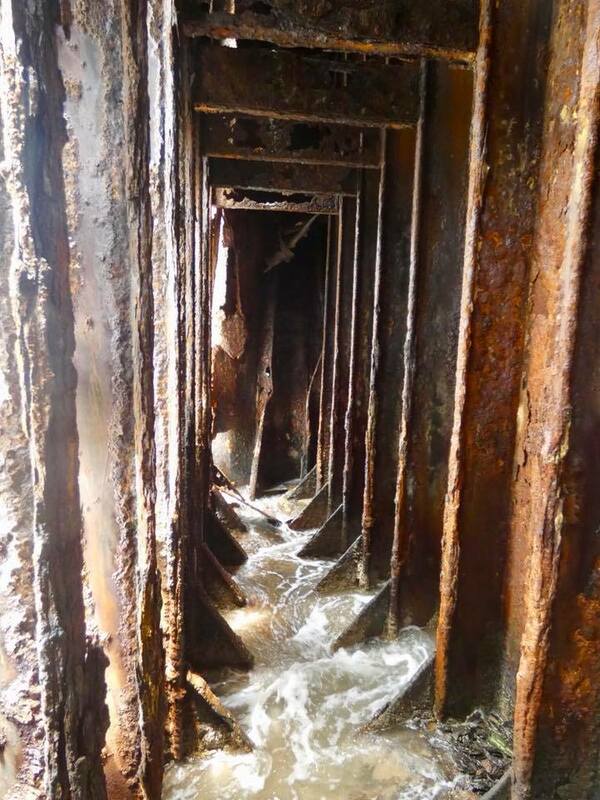 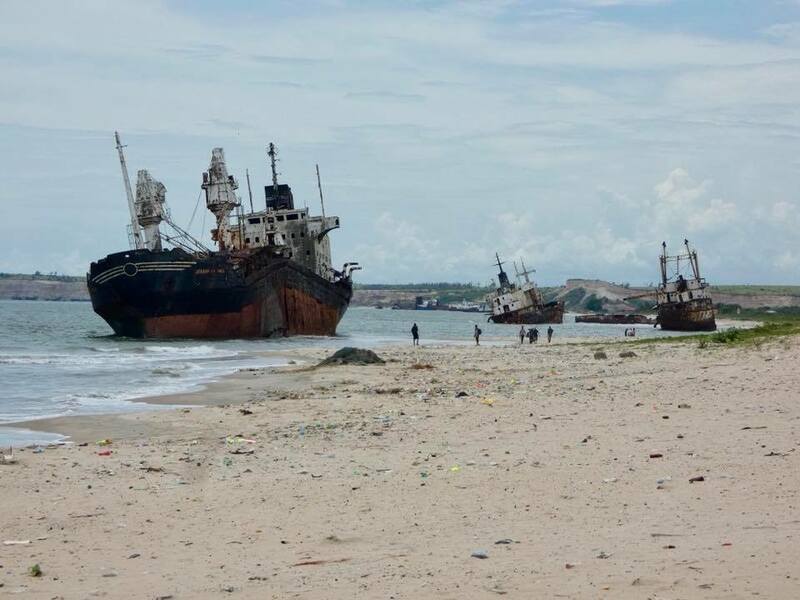 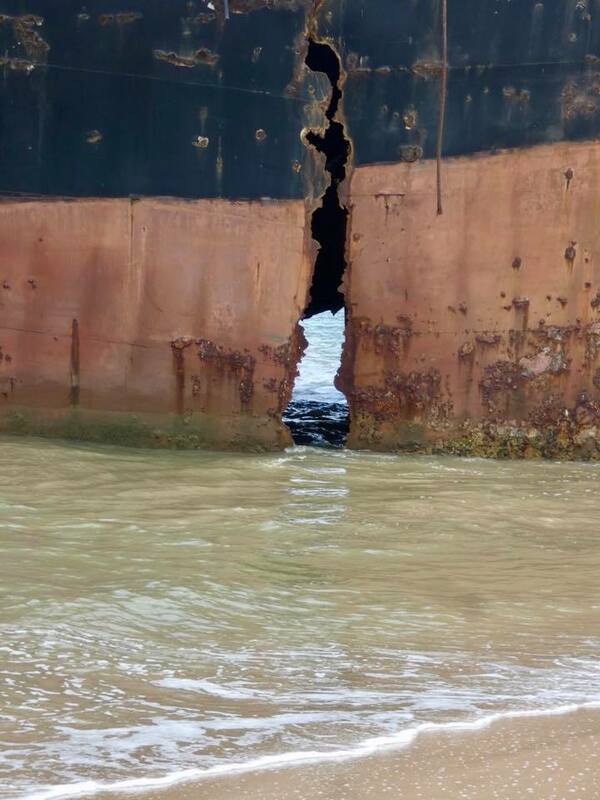 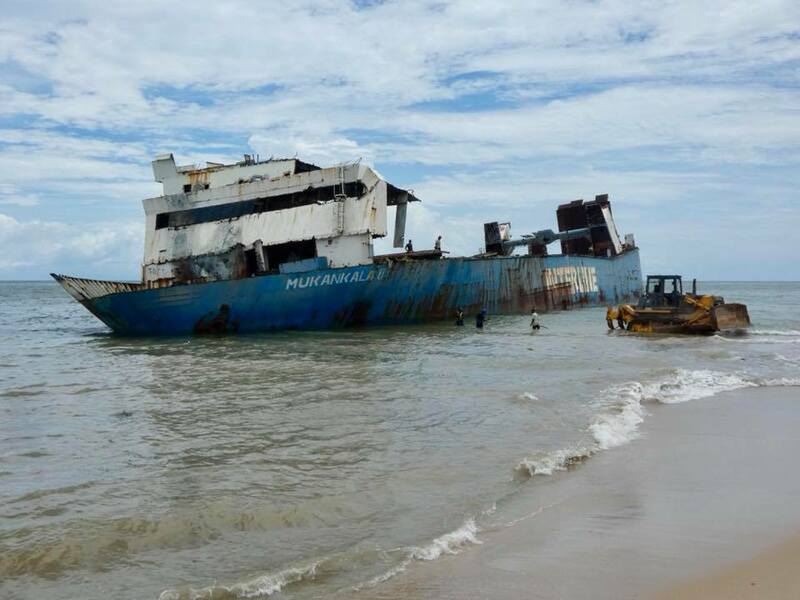 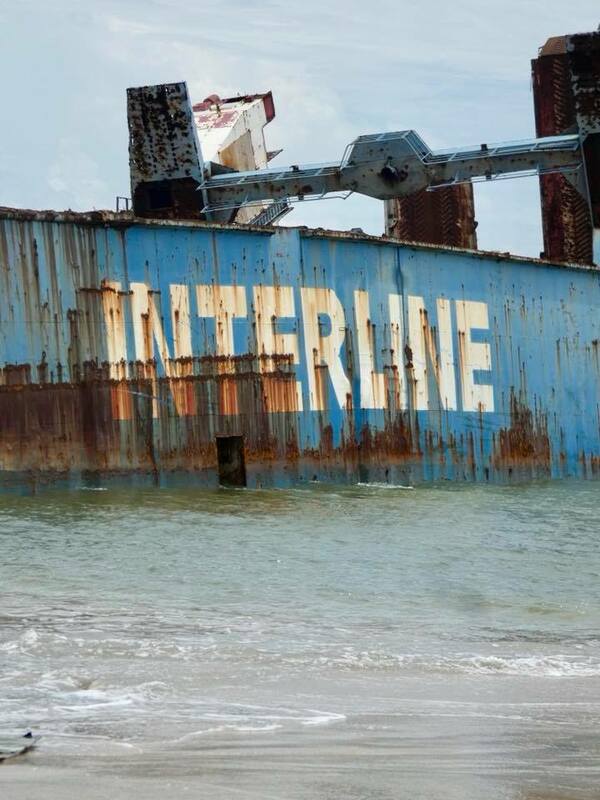 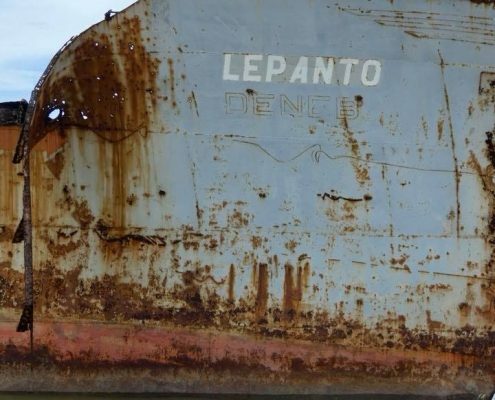 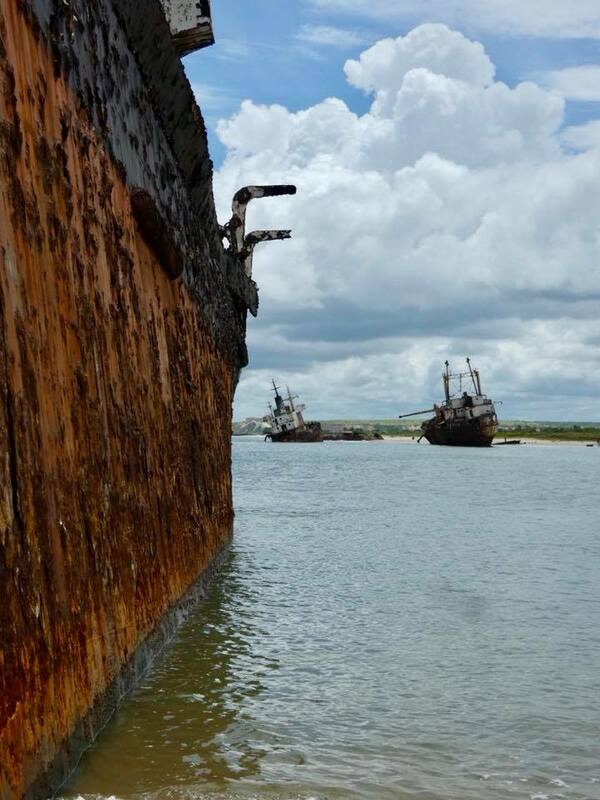 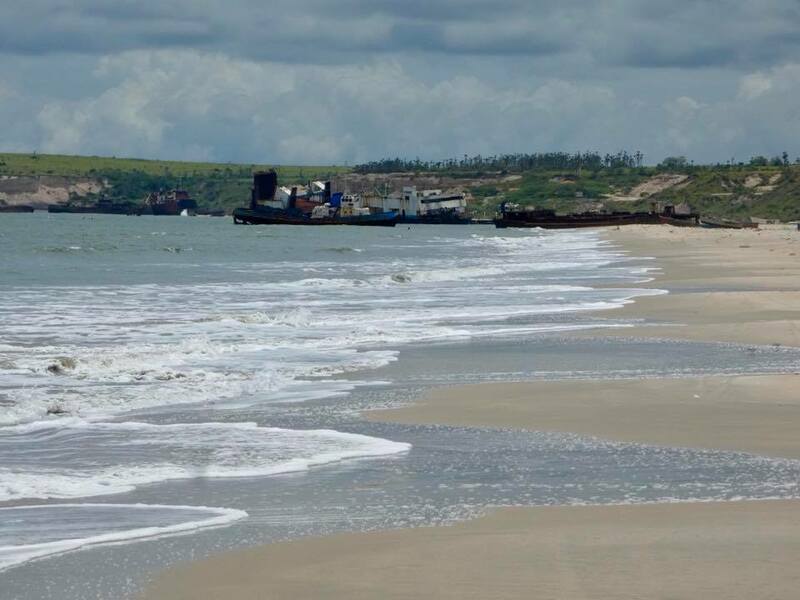 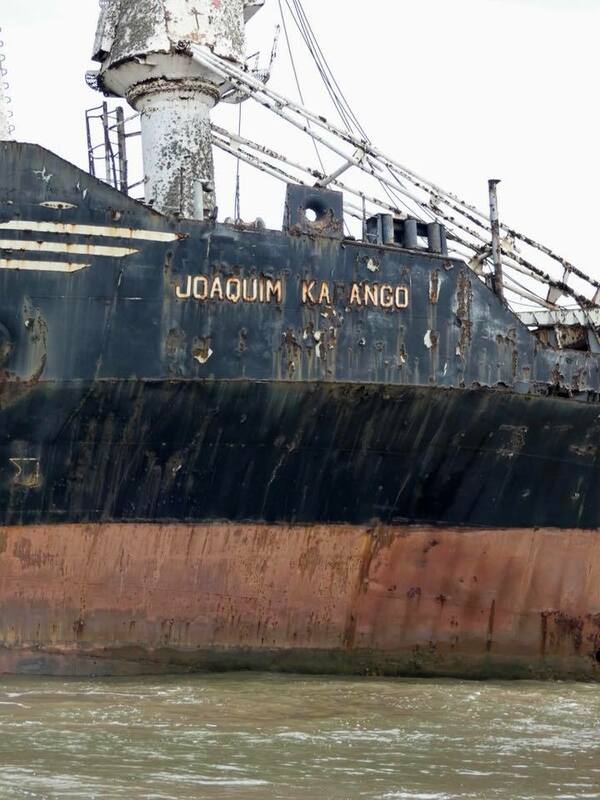 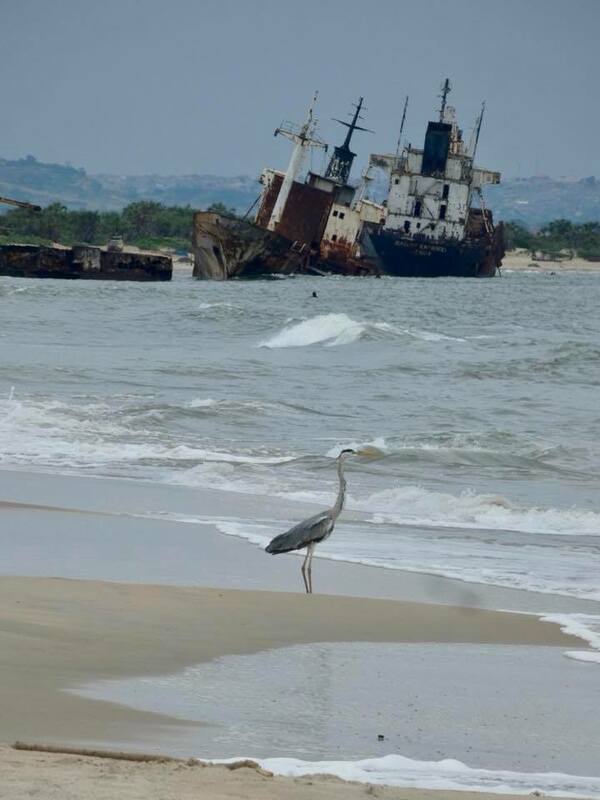 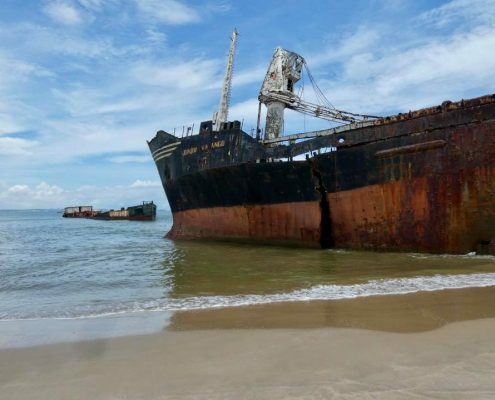 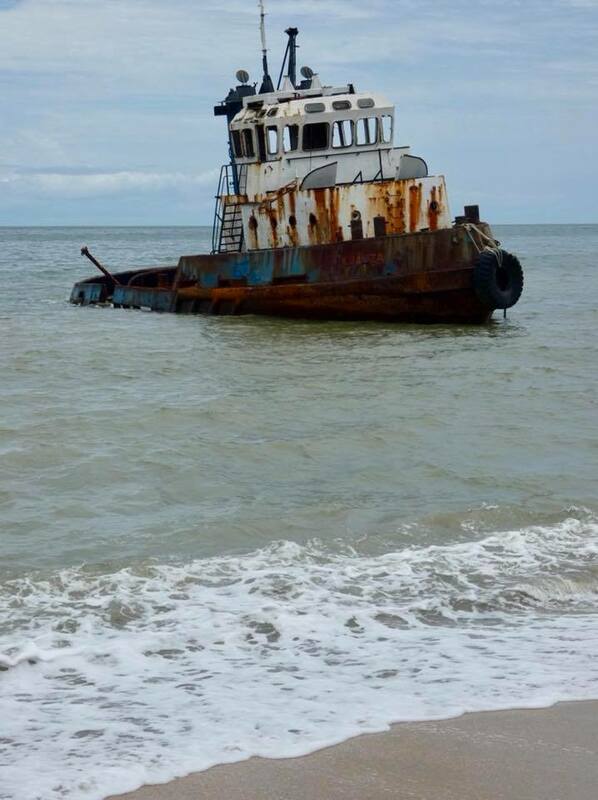 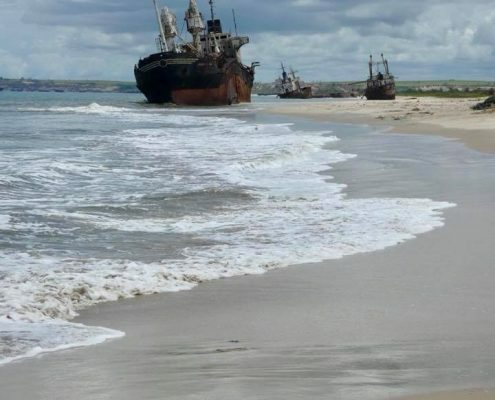 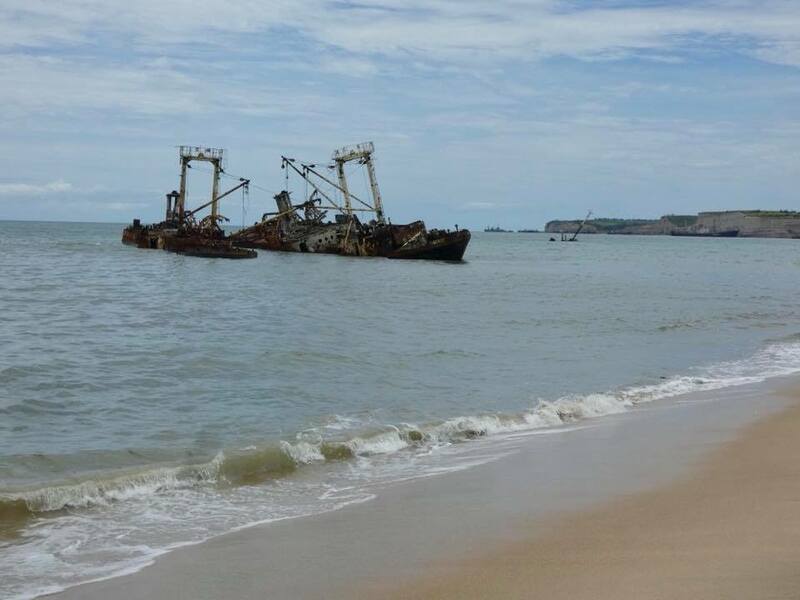 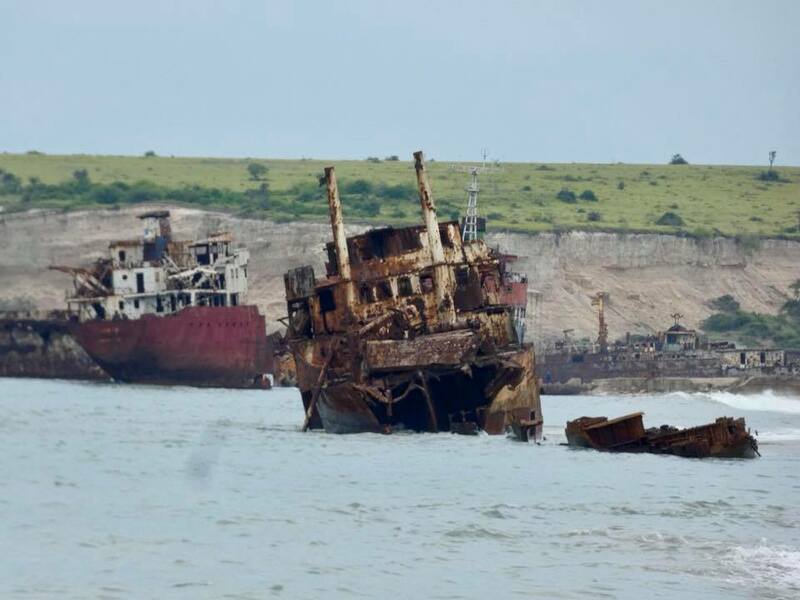 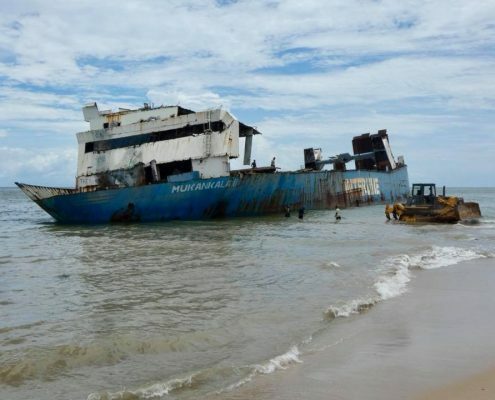 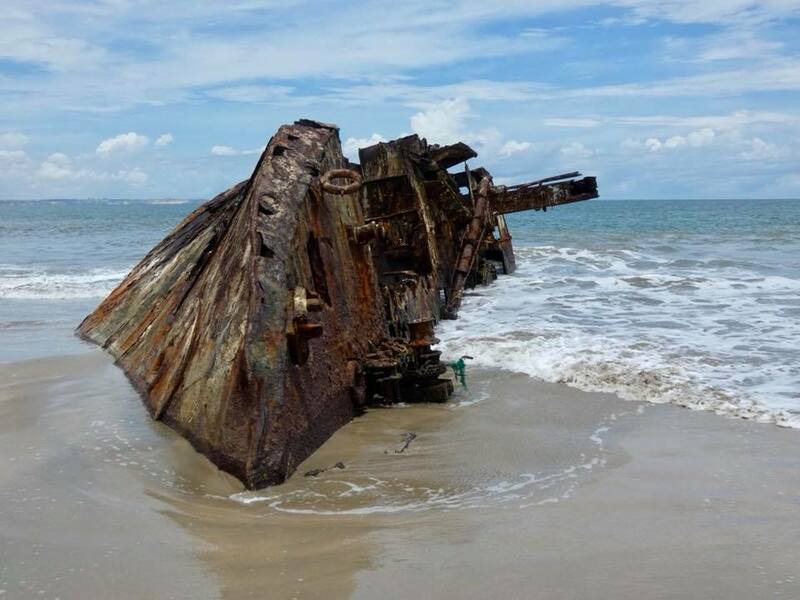 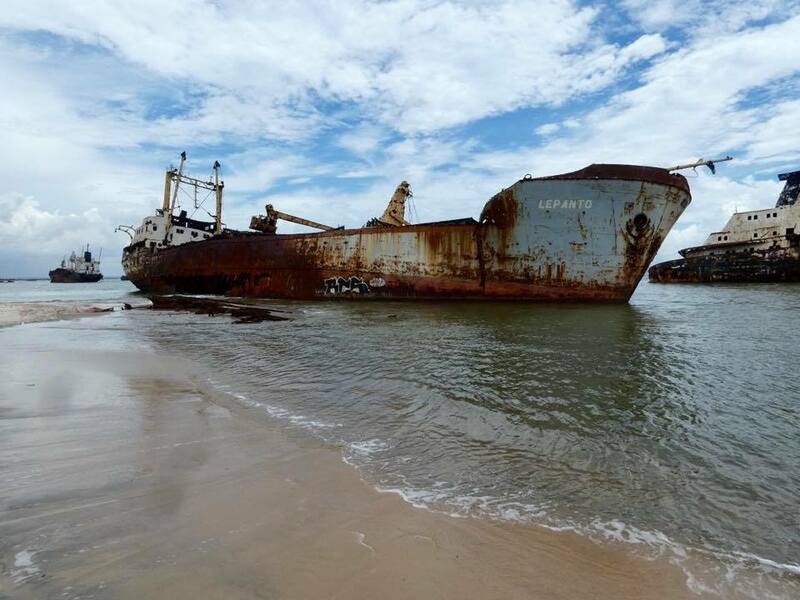 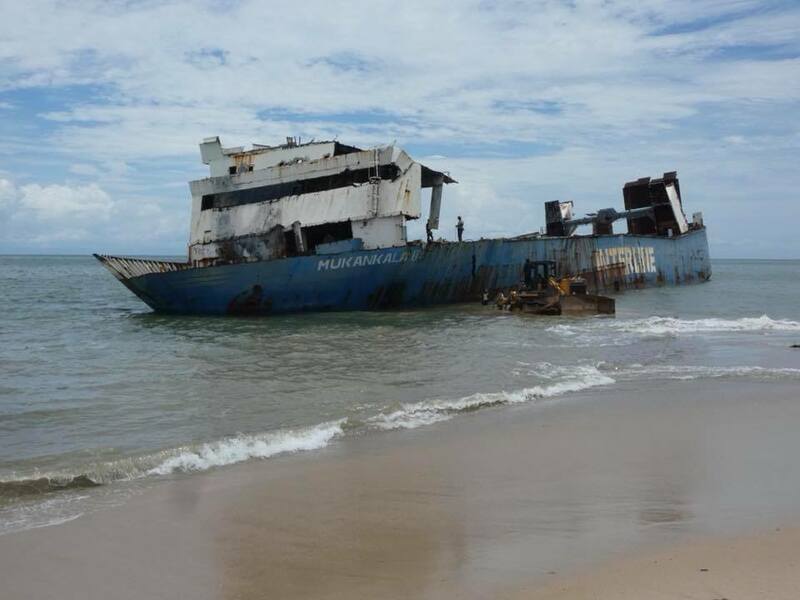 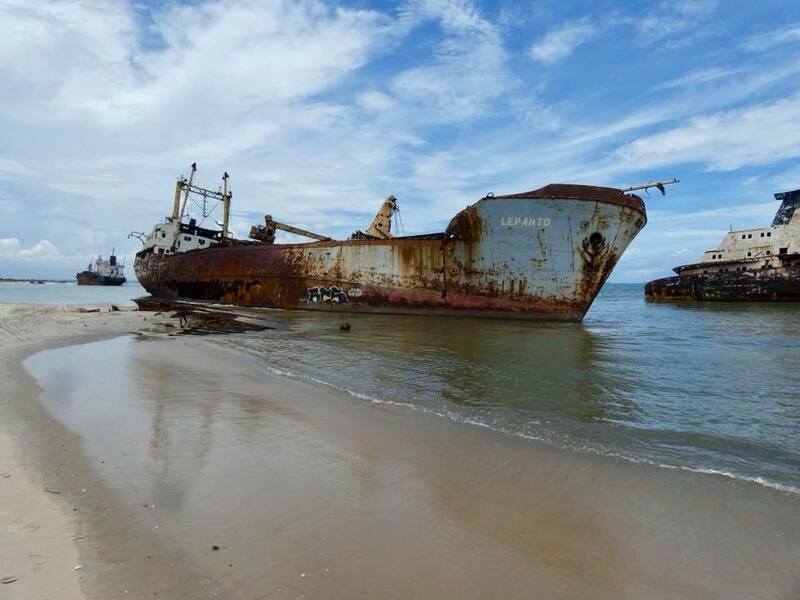 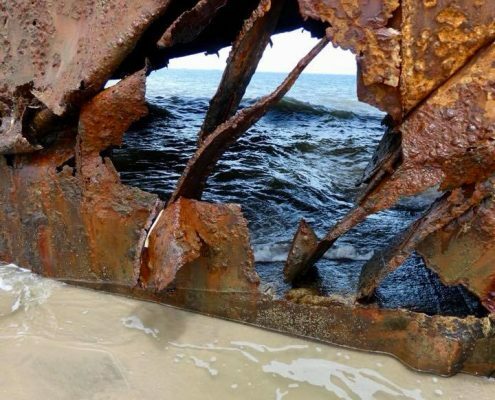 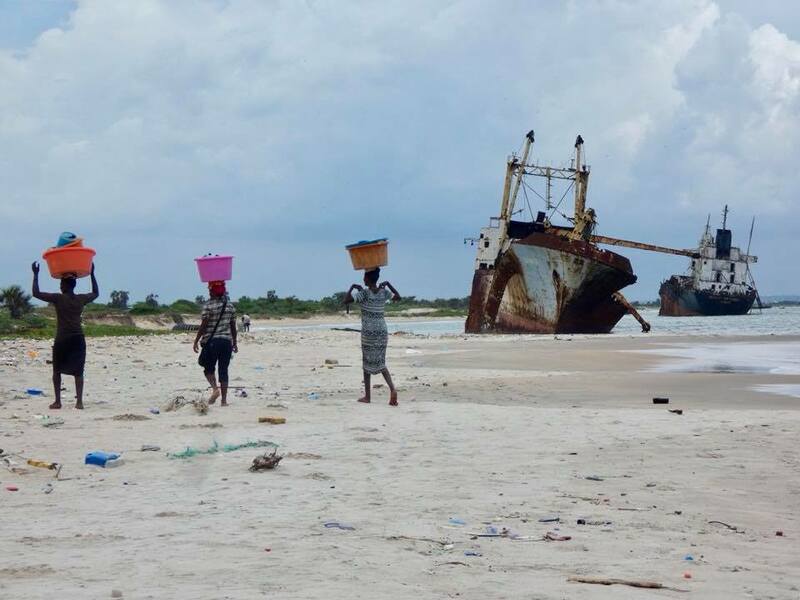 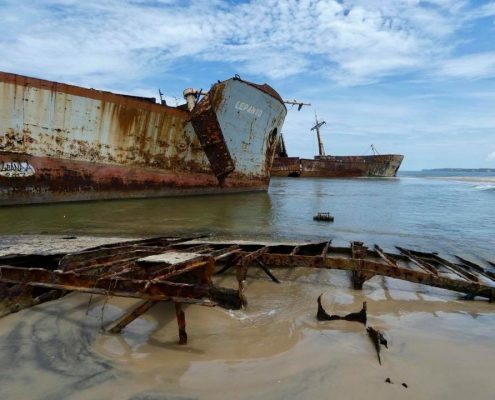 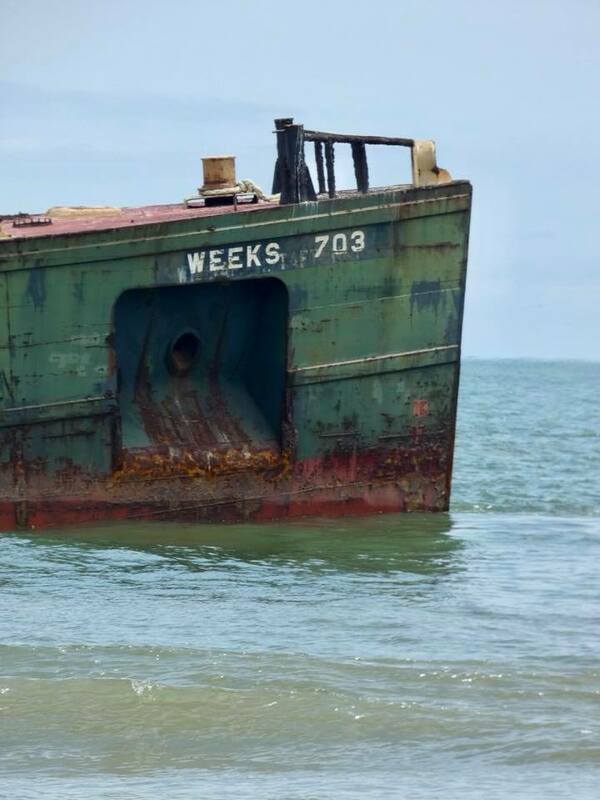 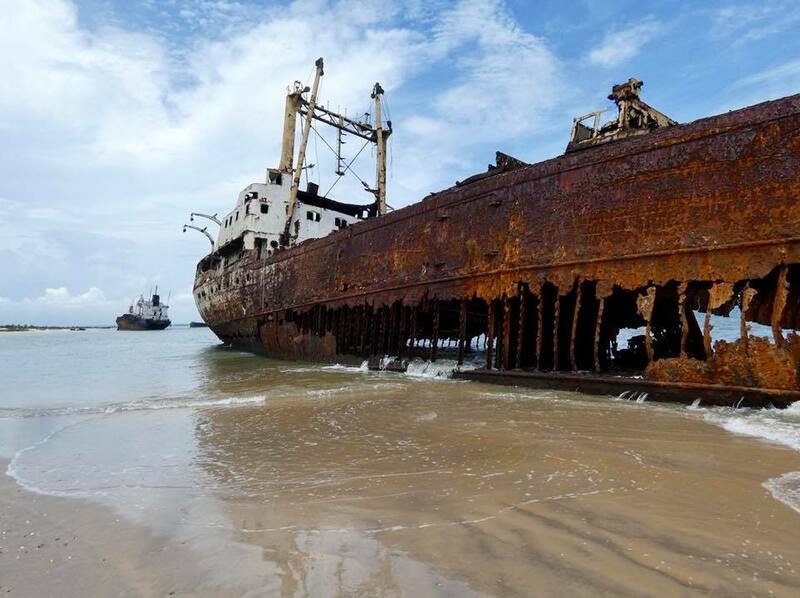 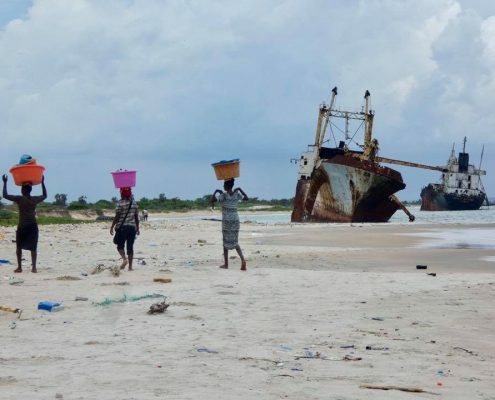 About 30km north of Luanda is a 4km long beautiful white sand beach packed with about 20-25 wrecked and rusting ships. 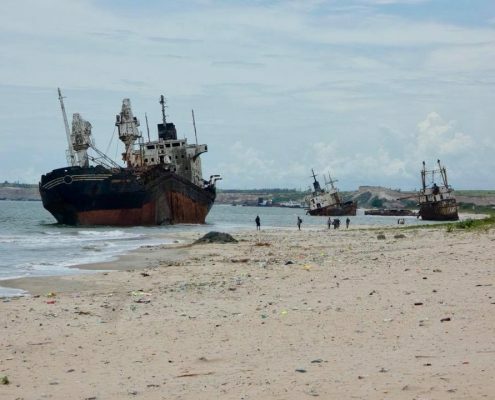 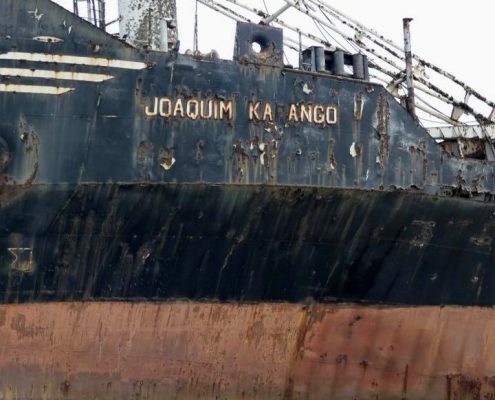 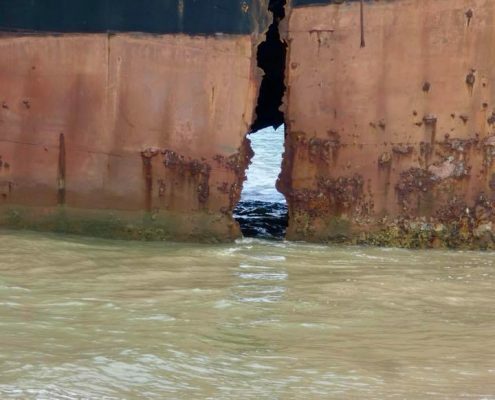 The theory on why the ships are here is that the lack of scrapping facilities in Luanda port got the decommissioned vessels towed over here and moored offshore and then the tides and waves slowly pushing them on land. 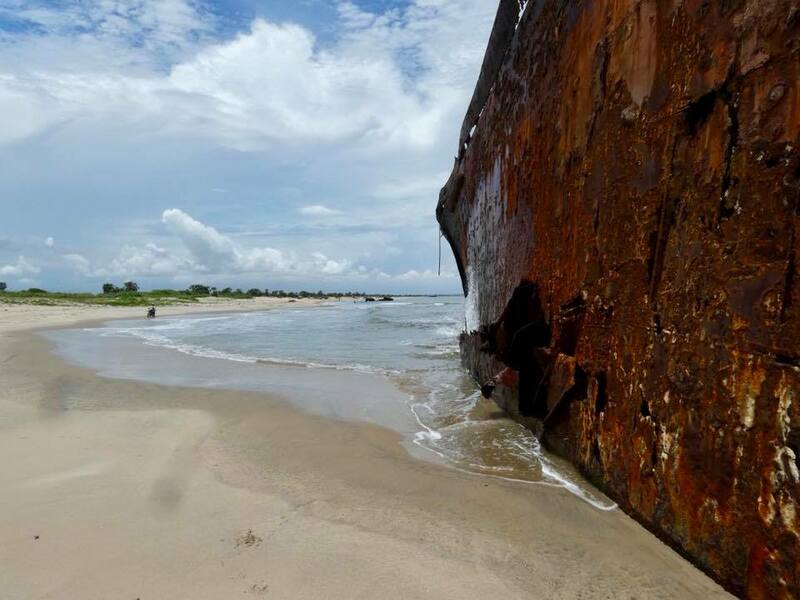 It’s an incredibly photogenic area, as you walk past the rusting metal monoliths while the local villagers go about their daily chores of fishing. 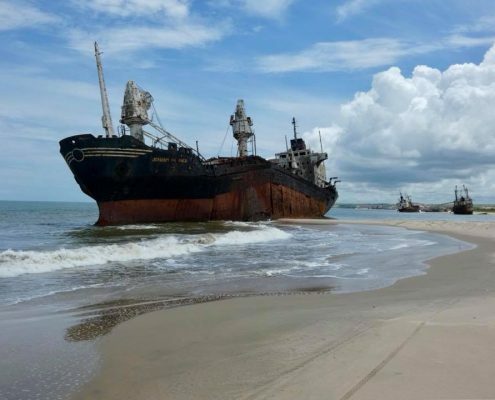 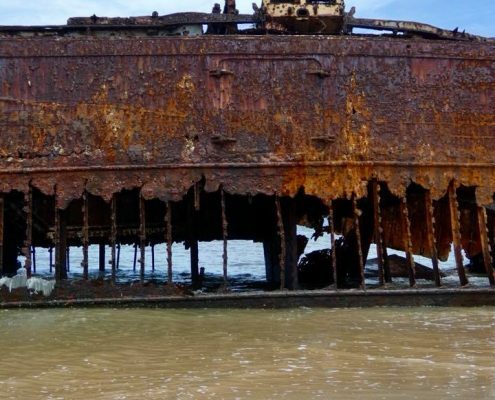 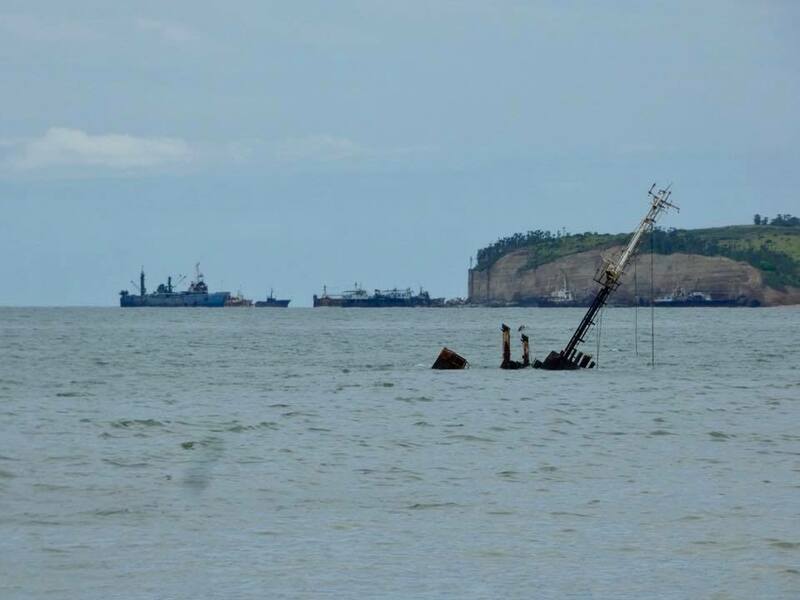 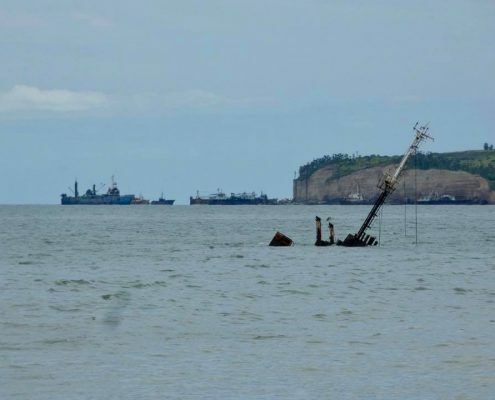 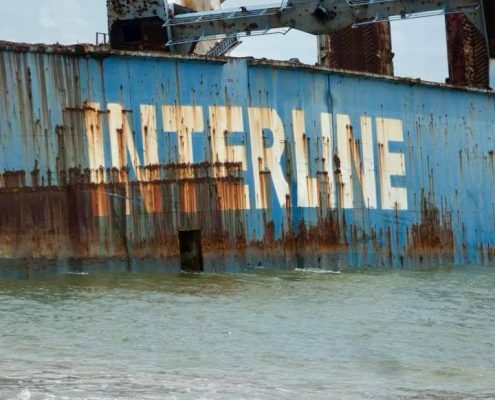 One of the ships is Karl Marx, which makes it the best monument to communism in the world: once a massive ship, it now lies dead, old, abandoned, stuck in sand, rusted, forgotten, discarded, and half-disintegrated. 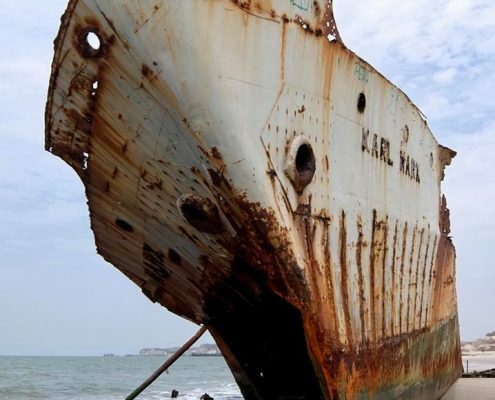 What’s more – the local villagers are slowly cutting the metal hulk into pieces for scrap metal – at least Karl Marx should be happy that he is able to provide the local proletariat with a little bit of meager “das Kapital”.